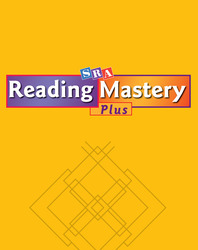 Reading Mastery Plus gives students the skills and the clear, explicit instruction and guidance they need to master the fundamentals of reading. Oral language, phonemic awareness, and systematic phonics are the starting point. Vocabulary development, fluency, and comprehension are fundamental throughout.